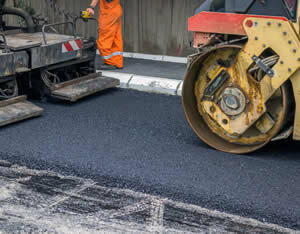 Its our job to know and understand all aspects of asphalt paving and to convey this information to those that depend on us to complete their job properly. The following information is a guide to different options available to our customers. We will always recommend the best solution for your project but will also offer options for your budget. Smaller areas of asphalt that have deteriorated usually require a PATCH/REPAIR. Older driveways or parking lots that are developing cracks and potholes can usually just be repaired, which will help to prevent the surfacing of existing cracks. If the cracking is not severe, the cracks can be filled with hot filler and a basic overlay of standard type asphalt can be provided. 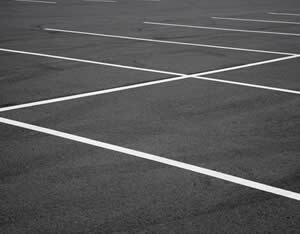 Older driveways or parking lots that have not been properly maintained or have had heavy use, may require complete removal and repaved. From full-depth repairs or asphalt overlays to pavement recycling, AMERICAN PAVING CO. of NJ has the trained personnel that will solve your asphalt problems. Whether your project calls for laying new asphalt or an asphalt repair, we can help you get the most from your investment. We recognize the inconveniences that new construction and repairs can have on your business. That’s why we allocate the proper manpower to accomplish the job in a timely manner and at a minimum interruption to your business. AMERICAN PAVING CO. of NJ, is a full service asphalt paving and maintenance contractor, serving Central & Northern New Jersey for two generations.